Ithraa, Oman’s inward investment and export development agency, today (September 2) welcomed a senior Japanese trade delegation and discussed ways to increase trade and investment links particularly in tourism, logistics, aviation, energy, oil and gas sectors. The delegation was headed by Kentaro Sonoura, special advisor to Prime Minister, Shinzo Abe, said a statement from the company. Talks also covered opportunities open to Omani businesses looking to improve commercial ties with Japan and further penetrate the growing and lucrative East Asian market, it said. In addition to Ithraa, the meetings included representatives from the Ministry of Tourism; the Ministry of Transport & Communications; ASAAS; the Public Authority for Electricity & Water; the Authority for Electricity Regulation; Sohar Freezone; the Public Establishment for Industrial Estates; and Oman Power & Water Procurement Company, it added. A recent report from PwC revealed that more than half (54 per cent) of CEOs in Asia Pacific are planning new strategic alliances or joint ventures to drive growth and profitability in 2018. 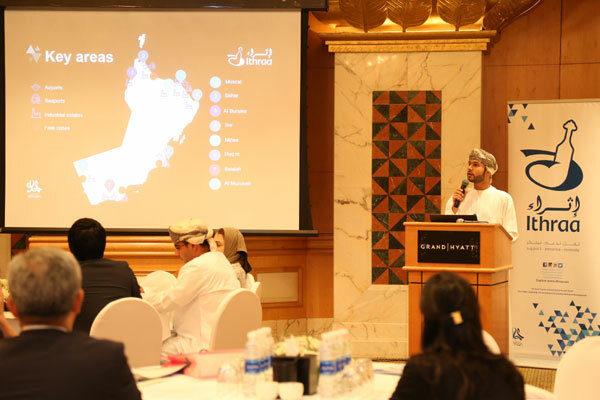 PwC’s annual CEO Survey also reported that a further 42 per cent are seeking new mergers or acquisitions, presenting significant opportunities for Omani businesses looking to grow through collaboration with Asia Pacific firms. The Japanese economy continues to be healthy after two years of expansion. Economists forecast growth of 1.3 per cent, down from 1.7 per cent in 2017 and a rebound to 1.5 per cent in 2019. Growth will be supported by stronger production and exports, as well as faster wage gains.